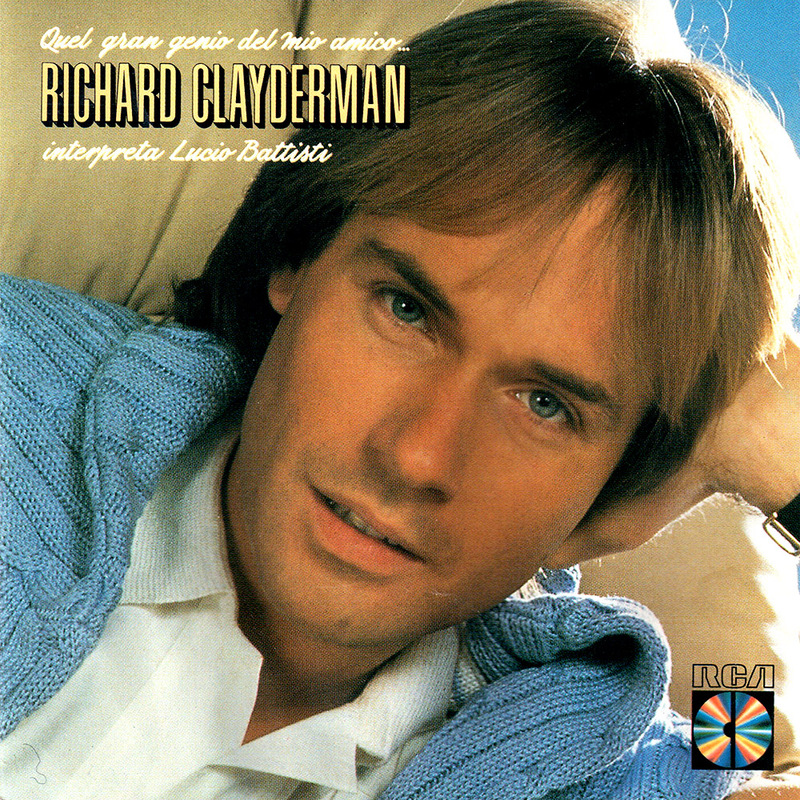 ‘Quel Gran Genio Del Mio Amico…Richard Clayderman Interpreta Lucio Battisti ‘ was a studio album featuring many of the popular music by Italian composer Lucio Battisti. As with the album ‘Zodical Symphony‘ of the same year, the arrangements are by Bruno Ribera, who is a highly respected French saxophonist and flutist. This album has only been commercially released in Italy, and was re-released by Universal with a smart new cover in 1999 as ‘Omaggio a Lucio Battisti‘. However, many of the tracks on the album are available via iTUNES, links to which are above. ‘Don Giovanni‘ (with Solo flute by Valerie Schulmann) , ‘Amore Caro, Amore Bello‘, ‘Umanamente Uomo: Il Sogno‘ and ‘Emozioni‘.